Want to repair your fridge? Amertec provides you 24/7 service for repairing of commercial refrigerations in Adelaide. 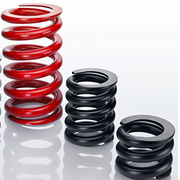 We have been serving our customer for 25 years due to which we are highly experienced in this field. Call us on to avail our services. Visit http://www.amertec.com.au/ for more details. 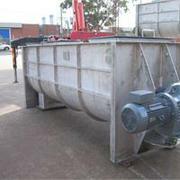 Orrcon Steel is a leading Australian distributor and manufacturer of steel, tube and pipe. Our extensive product range covers RHS, SHS & CHS structural tubular steel, hot rolled structural steel and a variety of fencing, roofing and building accessories. We employ over 600 Australians who use their steel industry knowledge and experience to produce and supply reliable steel products. Are you looking for the best electric door operators in Australia? You have landed at the right place. Pro Doors provide a wide range of door operators and accessories that are flexible, secure and highly durable. We carry a complete selection of all types of doors, their accessories and door operators. 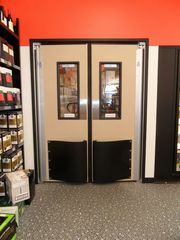 F & J Roller Door Service is a leading supplier and fitter of roller doors and electronic gates in Melbourne. We are a family-run business with over 20 years’ experience and offer a complete range of high quality products for industrial, commercial and residential customers. Business ABN: 54 094 388 584 Website: https://fjrollerdoors. 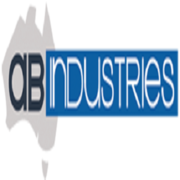 A&B Industries is proud to be an Australian sheet metal manufacturer with its factory located in the northern suburbs of Adelaide in South Australia. We specialise in the manufacture of high quality products and components from galvanised, aluminium and stainless steel sheets. We have also great expertise in the manufacture of steel brackets, usually in hot dipped galvanised finish. Beton services based in Sydney provide Concrete saw Cutting and Core Hole Drilling Services having years of experience in this field. 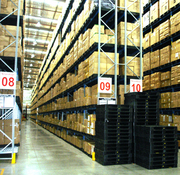 Call now for Best Price 0451 268 881..
City Shelving has been serving our customers for 20 years now and you can be confident that we know what we are talking about. We won’t discriminate against you either, if you just want office furniture like a desk or filing cabinet we will put the same effort into finding the right one for your needs as we do for a whole warehouse fit out. Discover a wide selection of composters, tumbler and compost bin supplies from Composting Home.Composting by using your home waste is an easy way to recycle your garden waste and produce good quality compost. We offer a range of compost bins and containers at discounted prices, to encourage more of our residents to start the home compost. Established manufacturer of custom made awards, trophies and plaques. We design and hand-made, high quality awards to suit all budgets. Call 02 9439 7144 for a quote. 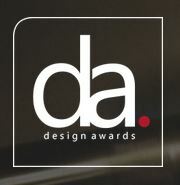 Name	Claire Walker phone:	02 9439 7144 email:	claire@designawards.net.au website:	https://www.designawards. We make strip curtains in Western Australia to specification to complement various screens & doorways. Rely on us for your outdoor blinds. http://epvcstripcurtains.com.au/. Name Badges International is the Australia leading manufacturer & designer of personalized name badge, name tags, school badges, custom name tags in Australia. Free Sample, Free mock-up with revision. For more Call us on 02 8003 5046 or visit www.namebadgesinternational.com.au. ETEL Transformers Pty Ltd specialise in distribution transformer manufacture and design. We supply to customers throughout New Zealand, Australia and the Pacific Islands. Please call us on 03 9310 5186 for more information. Website: https://www.eteltransformers.com.au/ Phone: 03 9310 5186 Email: ashley. A resource for everything for the hospitality industry. If you need kitchen, restaurant, bar and commercial equipment for Australia's growing hospitality scene, check out Hosbay's selection of products. If you're looking to sell this equipment, join Hosbay today - Australia's hospitality exchange. Email: michael@hosbay. Greetings from Industrial Chemistry 2018, USA. It is our great honour to invite all the academicians and industrial researchers to be as a speakers or delegates at the upcoming3rd International Conference on Industrial Chemistry and Water Treatment scheduled during May 21-22, 2018 in New York, USA. If you are looking to buy a quilt for your bed then Halcyon Dreams Pty. Ltd is the best option. You may have seen 500GSM wool quilt or 700GSM wool quilt on the label of some of the products you are looking at, but have no idea what it means.Some points mentioned here to understand what GSM is will best. Andrew McLeod Fire Protection Pty Ltd is an independently owned family business, specialising in fire protection services to health, industrial, commercial, local government, retail, mining & marine. Trading since 1994, Andrew McLeod Fire Protection has over 35 years experience in the fire protection industry. AJ Personalised Products - AJ Parkes is the market leader in name badges, name tags, awards, plaques, medals, plates and Identification products. The products are a result of innovation that creates an ambition to succeed in an industry that delivers AJ Parkes as a world class leader in its field. Our innovative commitments are clearly focused on modern techniques to achieve higher standards. L.D.M Engineering is a family business established 39 years ago. We offer a complete Steel fabrication workshop specialising in Stainless Steel and high nickel alloy fabrication for the food, dairy, pharmaceutical and chemical industries. We fabricate tanks, hoppers, ribbon blenders, pressure vessels to class 2 and class 1 pipe work and we offer certified welding to AS 1210, ASME IX, AS1554 and AWS D1. Are you looking to get the best plastic pallet, steel stillages, roll cages and slip sheets at prices well within your budget in Brisbane and Sydney? 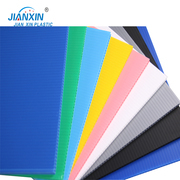 If so, then we here at Plastic Pallet are highly equipped to serve you in the best possible way. All our products are made using the industry best standards which ensures maximum durability and utility. Fresh Vegetables From Farm To Market In The Best Condition! Fresh vegetables need special protection to maintain freshness and visual appeal. Omega packaging are experts in the packaging of Vegetables. Our innovative vegetable packaging boxes meet the highest quality and hygiene standards, you can rely on. We supply an extensive list of varied sizes and shaped made to order boxes that fits your unique requirements. Allied Heat Transfer are experts in providing the perfect solution for all your heat transfer and cooling needs. We offer a range of stocked coolers and heat exchangers and have the experience to design and manufacture your custom cooling or heat transfer needs. Website: http://www.alliedheattransfer. Load Restraint Systems supplies a large range of High Security Bolt Seals, Octolock Seals, Metal STRIP Seals, Lightlock Seals. Our US approved security bolt seals are commonly used to secure container and vehicle doors in order to protect high value cargo. Call Us today on: (03) 9480 5577. Fibre sales provide top quality fibre optic connector and cabling products. Our products are made from high quality attribute. We are Australia based and deliver best quality connector and cabling products to our customers. 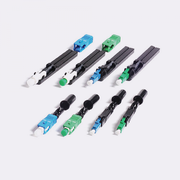 You will get wide range of fibre optic connector products that provide high performance that suit your daily needs. Please send your inquiry to email: hyman@automate-ace.com Advanced PLC from the back- big & high resolution color 12.1″ touchscreen. 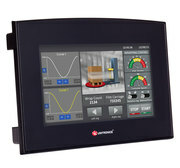 Snap-in I/Os for an All-in-One controller; expands up to 1000 I/Os. 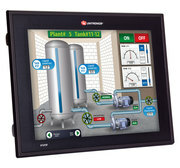 PLC ·	I/O options include high-speed, temperature & weight measurement ·	Auto-tune PID, up to 24 independent loops ·	Recipe programs and data logging via Data Tables ·	Micro SD card – log, backup, clone & more ·	Date & time-based control HMI ·	Up to 1024 user-designed screens ·	1500 images per application ·	HMI graphs – color-code Trends ·	Built-in alarm screens ·	Text String Library – easy localization ·	Memory and communication monitoring via HMI – No PC needed Communication ·	TCP/IP via Ethernet ·	Web server: Use built-in HTML pages or design complex pages to view and edit PLC data via the Internet ·	Send e-mail function ·	SMS messaging ·	GPRS/GSM ·	Remote Access utilities ·	MODBUS protocol support ·	BACnet, M-bus – via 3rd-party converter ·	CANbus: CANopen, UniCAN, SAE J1939 and more ·	DF1 Slave ·	SNMP agent V1 ·	FB Protocol Utility: enables serial or TCP/IP communications with 3rd-party device; barcode readers, frequency converters, etc ·	Ports: supplied with 2 isolated RS232/RS485 , 1 CANbus, 1 USB programming port; 1 port may be added for serial/Ethernet I/O I/O options include digital, analog, high-speed, temperature & weight measurement. Please send your inquiry to email: hyman@automate-ace.com Sure Cross® Performance Embeddable Board Modules were specifically designed for the needs of industrial users to provide connectivity where traditional wired connections are not possible or cost prohibitive. 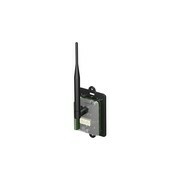 Performance Embeddable Board Modules communicate with all Sure Cross Performance radios. 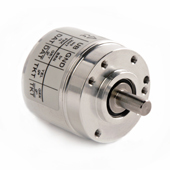 Please send your inquiry to email: hyman@automate-ace.com The AC36 series utilizes a high speed serial protocol encoder SSI/BISS that provides excellent feedback for demanding motion control applications with high accuracy. The BiSS protocol only require six conductors which helps reduce overall system cost. Please send your inquiry to email: hyman@automate-ace.com Full-function PLC with built-in high resolution, full-color touchscreen & onboard I/O configurations. Great look, incredible price. PLC ·	I/O options: Digital, Analog, including High-speed ·	Auto-tune PID, 2 independent loops ·	Recipe programs and data logging via Data Tables ·	Date & time-based control HMI ·	Display: Color touch-screen o	3. Other industrial goods Australia ads Australia, Other industrial goods classifieds Australia, Other industrial goods free ads Australia, ads for sale Australia, ads to buy Australia, FREEADSAustralia Page number 2-1. Find here ads for sale, to buy and rent in Australia. Goods for sale in Australia, vehicles for sale in Australia, Australia real estate for sale, Australia property for sale, property for rent in Australia, business ads in Australia, Australia business classifieds, services in Australia, Australia services ads, jobs in Australia, pets for sale in Australia, Australia dating, Australia cars for sale.